There was a long pause on the other end of the line. “Granpaw, are you still there?” All I said was that I would be in Normandy for a wedding when… silence. “Etretat,” he finally said, faintly, before disappearing again in thought. It had been more than sixty years since he was in France, but that day on the phone I could tell my Granpaw had been transported back. It was late summer, 1944. 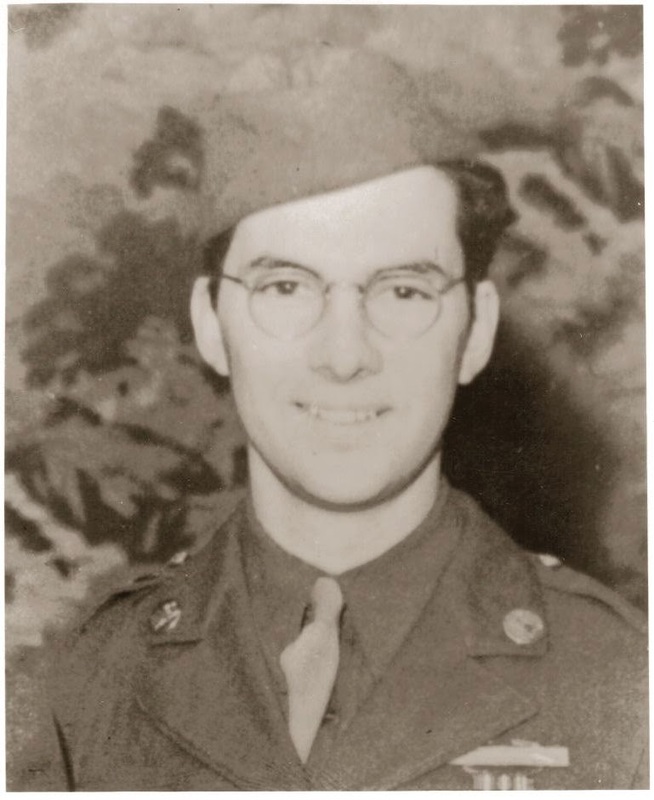 Fresh from the front lines, twenty year old Private First Class Bruce Wiegel arrived in Etretat, a tiny Norman village neighboring the beaches that bore the brunt of the D-Day invasion. He hadn’t come fight, but rather to make peace – peace with the war, peace with the land, and, no doubt, peace with himself. Maybe it was the almost magical way he said it, but as soon as I heard the name “Etretat” I knew I had to go there too, to see what he saw, feel what he felt. When I looked it up online, however, I was surprised to realize that I recognized the place already. I still wasn’t sure I knew what she meant, then after about an hour of wandering the museum halls, something did speak to me. It was The Manneport, a rocky seascape that, as the placard explained, was painted by Monet during a visit to Etretat in 1883 to study the way light played on the town’s chalky white cliffs. The more I looked at the painting, the more it sprang to life, like a portal into an experience Monet wanted others to share. 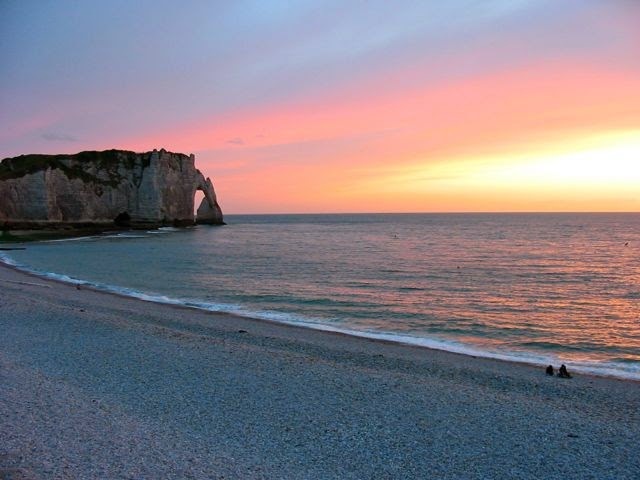 Looking back it, not even an artist could imagine the new light Etretat took on for me after its resurrection in my Granpaw’s memory reflected an experience of my own. On the way back from the wedding in Normandy, the closest I came to Etretat unfortunately was only a picture on a postcard I bought at a highway gas station. It showed a golf course built on the edge of the dramatic cliffs, and when he got the card, Granpaw joked that he didn’t get to play a round when he was there. 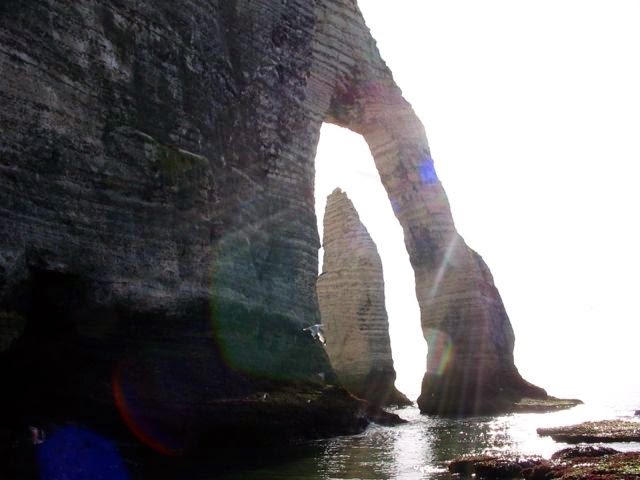 Another year would go by until I could say that I knew Etretat personally though. As we approached we were greeted at once by its remarkable stone walls. We even hiked to the top of the cliffs, next to the golf course. I took countless pictures, both digital and the real kind, as if the whole experience depended on my capturing every rock from every angle. Finally, after a day full of soaking it all in, I started to wonder what Granpaw might remember about his time in Etretat. How long was he here? Who was he with? What did he eat? I had a crêpe flambéed in calvados – did he? There were so many questions I wanted to ask him, but it was too late. As we sat on the beach, the sun slowly set, taking with it the regret I felt for not being able to share this experience with him. We watched as the white cliffs became a canvass of all colors and, sensing the spirit-lifting freedom that first Monet and then my Granpaw must have felt here, the bigger picture emerged. Like Monet who had come to Etretat to depict the fleeting moments of light and color, I too had come to ensure that Granpaw’s fleeting memory wasn’t lost; to throw an anchor in this spot where he lingered, briefly, before he was gone forever. 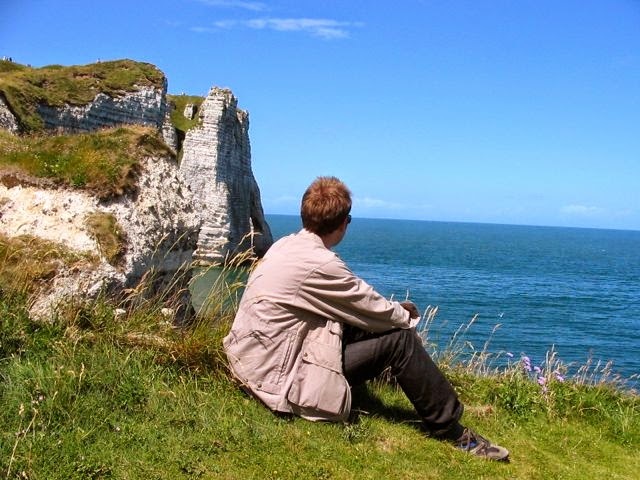 With his memory now safely tucked away between the cliffs, at my feet I found the perfect souvenir – a stone from Etretat’s permanent collection – to bring home and lie on his grave. 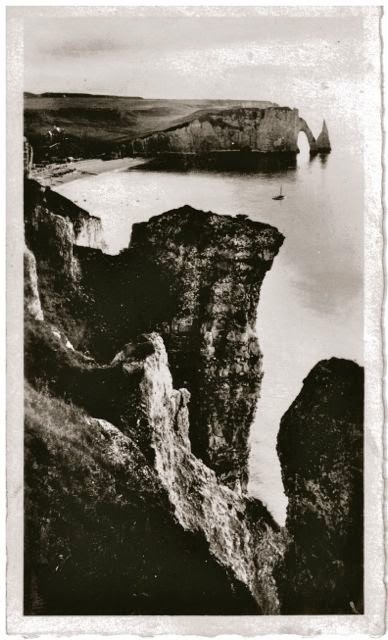 It’s true, the circumstances in which Granpaw and I first came to discover Etretat couldn’t be more different. But the fact that this far away place could bring us together, even after so many years, fills me with hope that, somewhere along the line, our paths will cross again. A lovely testament to a lovely man!